When looking for a London, KY dentist office what questions do you ask yourself? Are you looking for a dentist to set up regular cleaning appointments? Do you want whiter teeth? Perhaps you are in need of cosmetic dental care and more. At Modern Dental Solutions we have your dental needs covered. Let us help you understand what you should be looking for in your dentist and why our services are important to you. Regular cleanings and dental visits to your London, KY dentist are the first step in preventative care. Our state of the art tools and experience provide a deep cleaning to ensure plaque is removed and cavities kept at bay. We recommend two visits a year, six months apart. This ongoing care helps our team monitor any changes which could lead to bigger problems down the road. Along with routine brushing and flossing, our visits add to your preventative dental treatment plan. Together we work as a team to make sure you have the best oral health possible. The importance of regular dental exams keeps your teeth and gums healthy while preventing cavities and gum disease. Along with our traditional dental exams, we are also trained in prosthodontic procedures. Prosthodontic services improve your smile using cosmetic dentistry and restorative techniques. In most cases a compromised tooth is fabricated using your existing healthy teeth to recreate a missing or broken tooth. Ensuring your London, KY dentist provides these services means that should you need to repair a tooth, your dental history is already on file and your dentist is familiar with your oral treatment plan. Restorative dental procedures and cosmetic services often overlap. We repair broken or missing teeth using both services so that your new tooth looks just like your other teeth. The art of cosmetic dentistry lends itself to a keen eye for detail in order to give you your perfect smile. Both types of services deal with crowns, bridges, or dental implants. Choosing a London, KY dentist who specializes in all services is the key to a great smile. 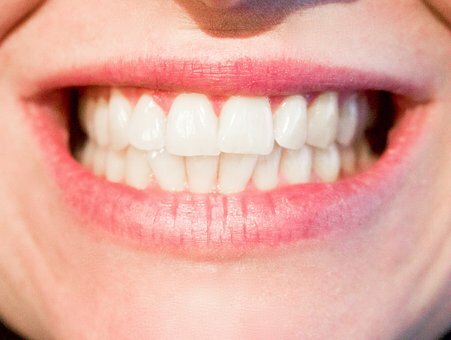 Improper oral care, accidents, and even genetics can alter your smile. Look for a local London dentist who has the experience to expertly care for your dental needs. Let us help you achieve the smile you’ve always wanted. Schedule your dental exam or a consultation to talk with us about your oral health goals. With our prosthodontic, restorative, and cosmetic dentistry services we are a one stop shop for any of your oral health needs. Look to our Facebook page for more information or give us a call. Your new smile is just a procedure or two away and will bring you a lifetime of happiness and confidence.